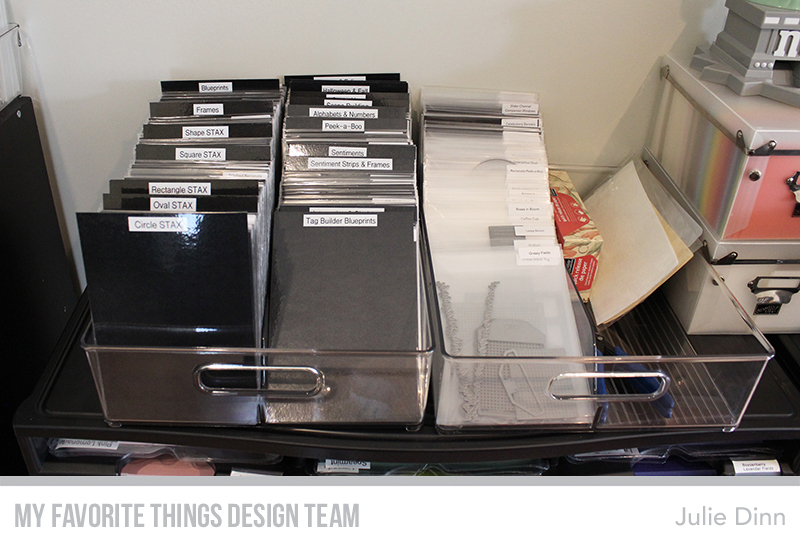 Today, the MFT team is sharing their storage tips for Die-namics. I store my Die-namics in the same containers as I store my stamps. I use the InterDesign Refrigerator and Freezer Storage bins. 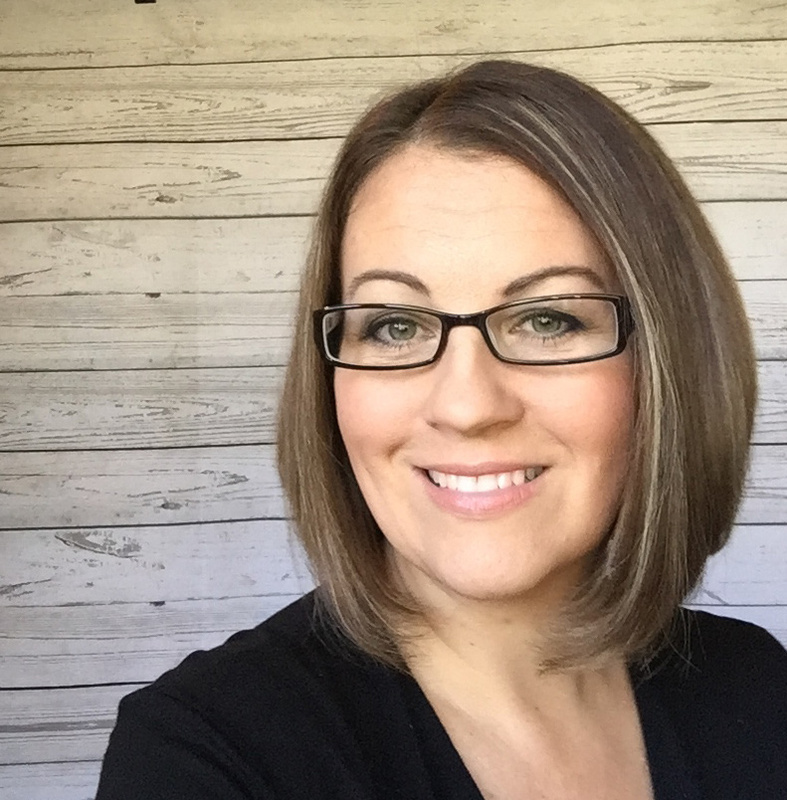 I've been using these for a few years now since I first heard Jennifer McGuire talk about them. 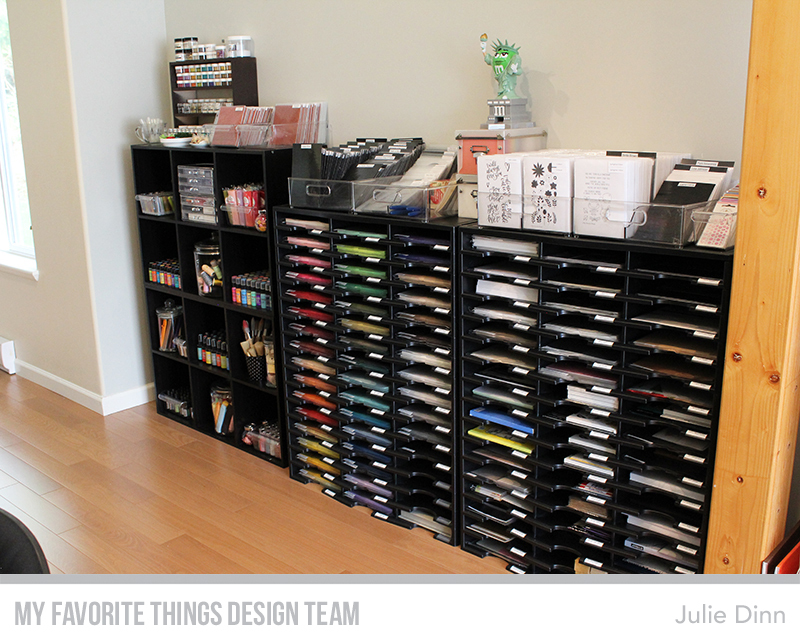 I use two of the bins to store my dies and two to store my stamps. I currently store my dies and stamps on top of my card stock organizers. I love this set up as the stamps and dies are taller than counter height, they are probably closer to the height of a bar, which is the perfect height for me to flip through them. 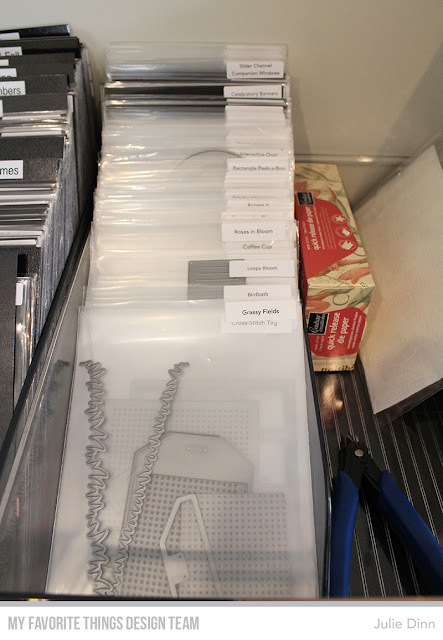 My dies are all stored in the Large Storage Pockets. Each pocket has been labelled with the labels that MFT provides each month. If you are interested, you can download them here. I created little dividers for each different section of dies using a sheet of Black Licorice card stock. I laminated the sheets and added a label with my label maker. The dies on the left are the ones that I tend to use the most, my STAX and Frames dies. The next section contains lots of sentiment dies, interactive dies, and lots of other goodies. This is where I get a little crazy. When my dies come in I like to make an identification sheet for them. I cut out every die in either pink or white card stock. and I place them on black card stock. 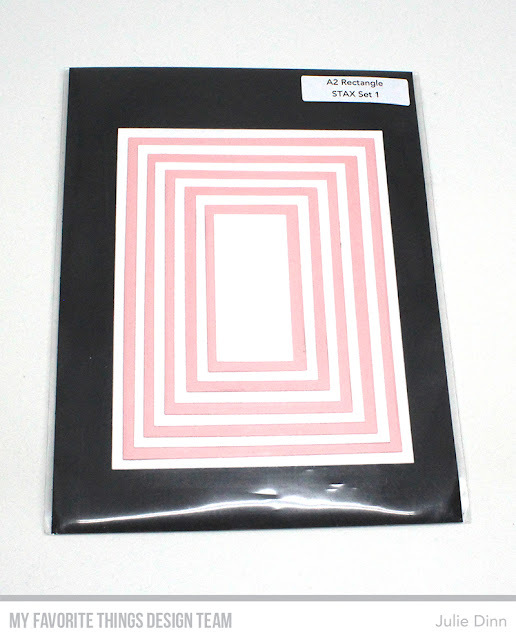 I use Bubblegum card stock for the pink, and an inexpensive white and black card stock. 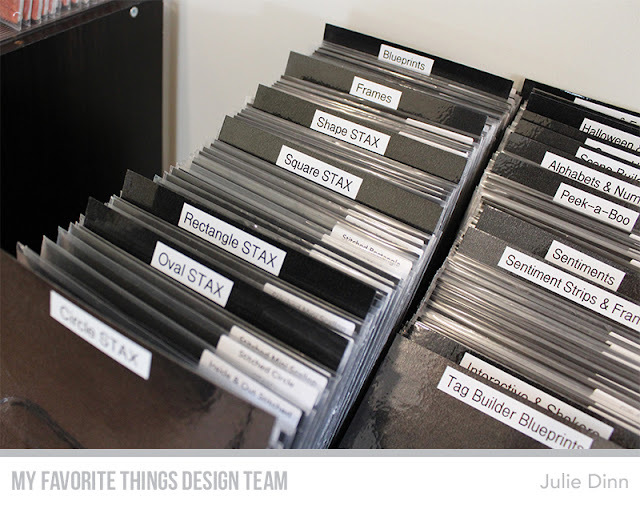 I used to use only MFT card stock, but I found the other card stock was lighter and took up less space in my holder. I find having a guide to know where different dies go is extremely helpful when I need to put dies away. I can be a very messy crafter and I will have dies all over my desk after finishing multiple projects. Having these guides have been a lifesaver. The stamps that have coordinating stamp sets are stored with the stamps in the same sized Large Storage Pockets. If the dies are snipped apart, I will often place them in a Small Storage Pocket before placing them in the larger one with the stamps sets. This next section is my section of shame. These are the dies that I have not yet done an indetification card for. I do try to do them as they come in each month, but sometimes I fall short. I am hoping to have them all done soon. In my final section, I have a few of my die accessories including Steel Snips, Quick Release Die Paper, Embossing Pads, and a Metal Adapter Plate. 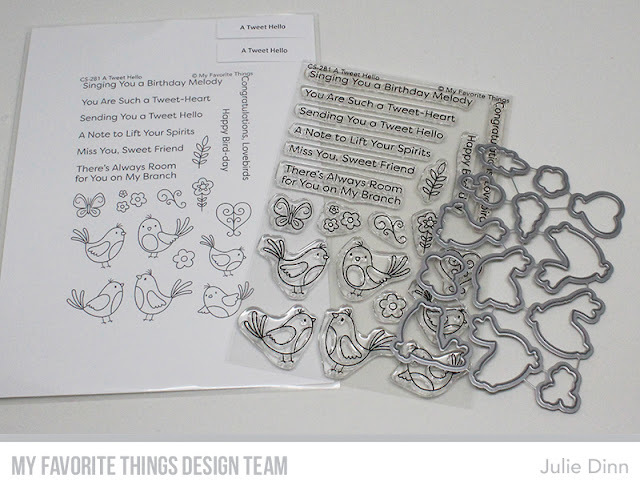 Thanks again for joining me today, I hope you have enjoyed a peek into how I store my Die-namics. 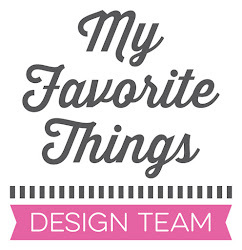 Be sure to check out the MFT site to see how the rest of team stores their Die-namics.